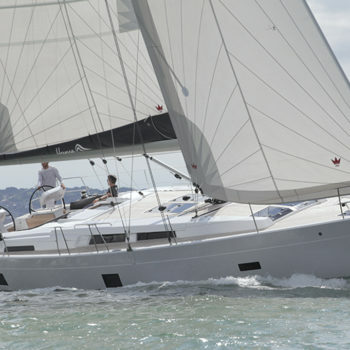 French giant Beneteau turned quite a few heads when they rather broke the mould with their new 51.1. 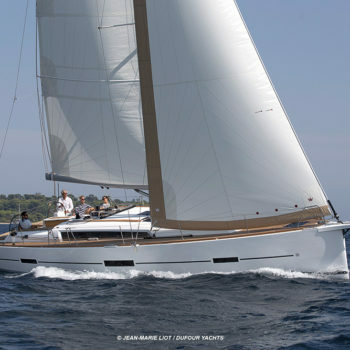 She is the first of the new range of Oceanis cruising yachts and designers Berret Racoupeau turned to the racing yacht Rambler 88 for inspiration. It’s not often that you can refer to a yacht as a revelation but the design process behind the Dufour 460 GL is boarding the revelatory. The 460 GL represents a small design revolution for the popular French manufacturer and their long time design partner Umberto Felci. 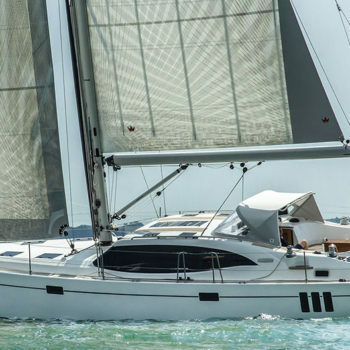 What they have done with the 460 is produce a really voluminous cruising range that is smart, modestly sporty and very comfortable. It’s when you head down below that you really get a pleasant surprise. If David Bowie hadn’t written Space Odyssey some 50 years ago I’d be absolutely convinced he was writing about the 460GL. The sheer feeling of room down here will take your breath away. 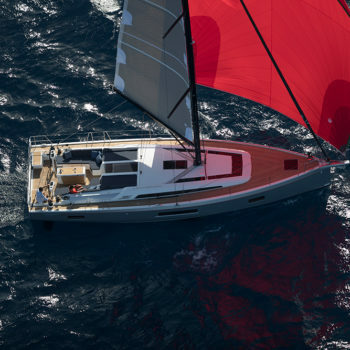 The Hanse 458 is the successor to the hugely successful 455 yet the design team has not rested on their laurels and has succeeded in creating a worthy successor that mixes a pleasing blend of sprightly performance and appealing looks. It seems like the quest for the perfect cruising yacht is a holy grail that yacht designers have been striving for since mediaeval times. But the lines of this effort might well be that ideal. Judel/Vrolijk drew her shape and she captures all that is required of a mid range yacht ideal for both private use or chartering. 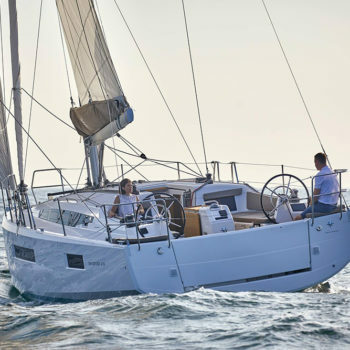 Jeanneau’s hugely successful Sun Odyssey range is now in its eighth iteration and it’s fairly clear they must be doing something right. The 410 follows on from the launch of the 490 and 440 which were both very well received due to their innovative approach to design. As such, the hull is heavily stepped out above the waterline which makes for an easily driven hull in light airs combined with masses of extra internal volume that is particularly noticeable at the bow. The revival of Southerly Yachts is one of the truly heart warming stories of the last couple of years. The brand always had a sterling reputation and the manner in which the marque has been revived by Discovery, the new owners, is truly impressive. As such, the yard has taken the best features from the old Southerly range and honed the product. The swing keel and sea kindly hull lines had already been rigorously tried and tested on the 480 but the real revelation has been the exceptional quality of the new interior.